2014 Best of Class in Fine Art, Judges Choice, Santa Clarita Valley Photography Assoc. 2014 Best of Class in Macro/Close-up, Santa Clarita Valley Photography Assoc. 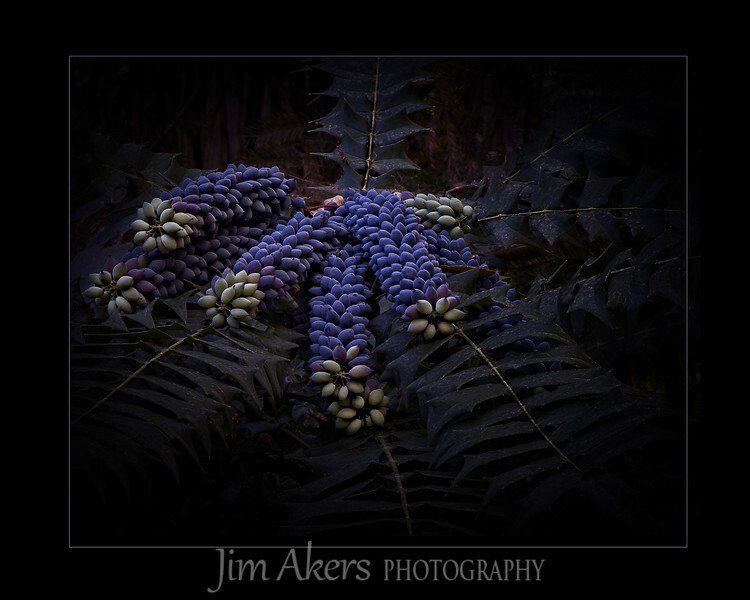 "Hidden Treasure" shot at Descanso Gardens in Flintridge, CA. received a FIRST PLACE AND MERIT IN THE MACRO/CLOSE-UP CATEGORY at the Santa Clarita Valley Photography Association print Competition. This is a Chinese Holly Grape plant. It truly was hidden. I am not sure if many people notice this beautiful and different looking plant. The long leaves are hard like a holly and the points are very sharp. This was a good session to practice my craft. No people, canopy of trees above, no wind. Perfect for taking your time and trying out different angles and positions.